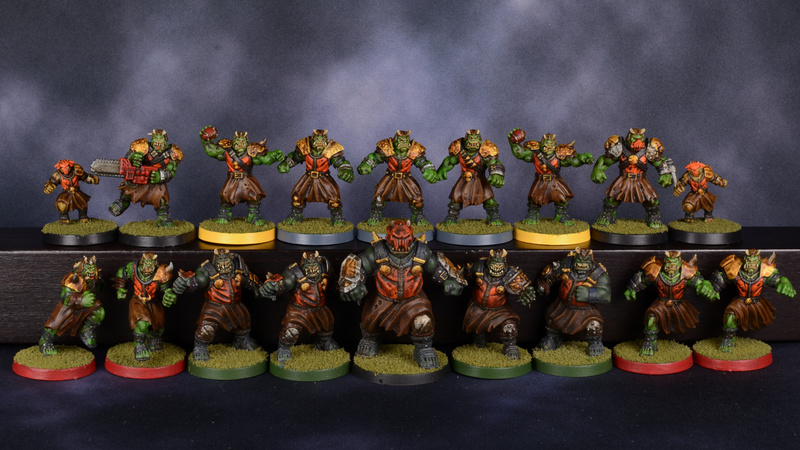 Another commission Bloodbowl Team; this one from Impact! Miniatures. The customer requested the original movie scheme with brighter colours, and I think I achieved that. I’m not super happy with these guys, but they’re a decent job.